On April, 11 in the conference hall of the City Palace Hotel the official representatives of the National Company Astana Expo-2017 and OrexCA.com signed the agreement about the promotion of EXPO-2017 and the implementation of vouchers for this grandiose event on the territory of Uzbekistan. The international specialized exhibition EXPO-2017 is a landmark event for Central Asia and the CIS: an exhibition of such magnitude has never been held in this territory. EXPO-2017 will host 115 countries and 18 international organizations and expect about 5 million visits. Dear Clients and Partners of OrexCA.com! We are glad to inform, because we have become bigger and more comfortable, we said «Goodbye!» to the old office and now you can find us on the 142/1 Mukimiy str., a hundred meters from the Novza metro station. Our main phone/fax number has changed to +99871 200-96-00. We will be very pleased to see you in our cozy office. From the 14th till 16th of April in the capital of China – Beijing – the international exhibition of outbound tourism China Outbound Travel & Tourism Market (COTTM-2015) was hold. This year the number of participants has increased by 7% – more than 350 exhibitors from 65 countries. OrexCA.com was presented the seventh time by our individual tourism manager Lola Bekmuratova. This time at the «End of the month» meeting two OrexCA.com employees received certificates and signs for the fruitful work. Manager FIT Lola Bekmuratova has spent three successful years in the company. And our project manager Maxim Kopytov has been working in OrexCA.com for two productive years. We congratulate our colleagues and wish them new heights and more victories! Our friendly team collectively and unanimously decided to celebrate New Year at OTPUSK.UZ office. Because no one corporate party in an expensive restaurant does not compare with the heartwarming evening in a circle of very close people in professional and spiritual spheres as OrexCA.com employees have become. There was a great table rich with the different dishes, the traditional Russian film «Irony of Fate, or Enjoy Your Bath!» on TV screen, funny lights on the New Year tree. Our mood was like at New Year’s Eve. Is higher education necessary to become a successful businessman? This dispute has been going on for a long time. There is no definite answer. The history shows that you may become a professional businessman without a university degree. But there is no doubt that you need certain skills and knowledge for the promotion of the business. On November, 18 these questions were discussed with the students of Westminster University in Tashkent by the founders and top managers of Korzinka.uz, Bookcafe, City Taxi, Click.uz, Biotrack technology, Uzbek-Chinese trading house. OrexCA.com Business Development Director Michael Shamshidov was also an active participant in this social partnership project of the leading university and private business sector West Business Group. The purpose of this joint program is sharing practical experience, giving students the recommendations of real business; getting to know their views and positions on key issues during debates and presentations of business leaders. This time general meeting at the end of November pleased not only with the high rate of productive work. An important event for OrexCA.com was the emergence of one another corporate longevity – individual tourism manager Natalia Revina, which has already actively worked in the company for 5 years. Cheerful, decisive, with a great sense of humor and professionalism in her field, Ms. Revina always gets positive reviews from tourists, who are very satisfied with their trip to Uzbekistan. She is engaged in ongoing self-development, regularly sets new ambitious goals and works with full dedication. Such loyal employees are the custodians of corporate traditions, values and internal culture, as well as a vivid example for those who are just starting a career and aspire to become a qualified specialist. 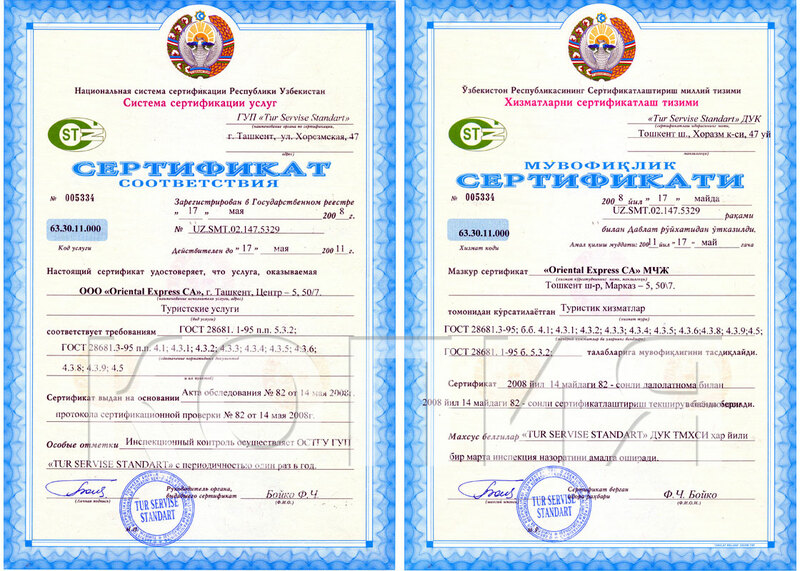 On behalf of the Director of Business Development Michael Shamshidov Natalia was given certificate with the platinum icon for her productive activities. This tradition was founded in 2009. Since that time each OrexCA.com worker, who has worked in the company for more than two years, receives the appropriate category icon. If you have a balloon in your hands, you inflate it until you feel it’s time to stop, or it’ll burst. How to calculate the opportune moment when it is not necessary to continue anymore? Everyone decides for himself. But usually we pay attention to that person in whose hands it explodes with noise. The same thing happens with our thinking. Thinking as many people thing, we get a typical result. Destroying the stereotypes and thinking outside the box we make a sharp jerk. Such exercise was given on the special training in in the industrial business center «TechnoPlaza» on November, 29. It was held by Khilola Suleymanova, the founder and director of the consulting company “Inspiro Business Solutions”, a certified trainer of the International Trade Center at the WTO, HR-specialist with the experience in the large international company «Pedersen & Partners». Representatives of OrexCA.com – Business Development Director Michael Shamshidov, Project Manager Maxim Kopytov and Manager of outbound tourism Vasilisa Egorova took part in it with great pleasure. 11 years have passed since the founding of OrexCA.com. 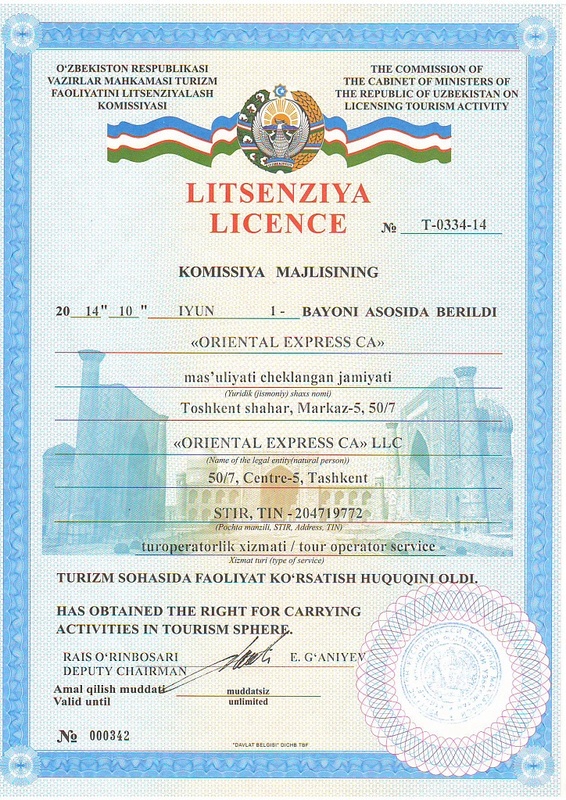 This is a significant period of time for the online industry of Uzbekistan, especially in the dynamic field of tourism. Each year we reach new heights, create a culture of innovation, develop and strengthen our success. High level of professional and interpersonal skills of the team allows withstanding the changes of a dynamic market of tourism. Corporate evening dedicated to OrexCA.com birthday was held in a cozy atmosphere of Manas art-restaurant. It is no coincidence that we chose it. It’s made by the style of Kyrgyz yurt. There was a great choice of different dishes. In the congratulatory toasts it was said more than once that OrexCA.com team has become a great big family long ago. Everybody takes care of his/her colleague and every foreign Guest who visits our country. Assessing the eleven-year experience, we understand that the contribution of each employee in the company’s business is immeasurable. Thanks to the focus on the overall result and following the mission – to be the fastest, most convenient and accessible guide in tourism sphere in Central Asia we continue to provide our services with pleasure and interest for every new tourist. Unusual but intriguing title of the content management course «He was killed and burned alive» immediately attracted the attention of curious copywriters. And instead of the expected 10 people there were 13 in the group. Representatives of different spheres of activities, including OrexCA.com content manager Valeriya Tararueva, during five days of intensive training received theoretical and practical management skills for control the information. The course took place from October 27 to November 1, with the support of GINZA IT Course, Brand.uz and Training Centre Smart Study. Classes were led by Natalia Krichagina, content editor of Brand.uz projects. On September, 27 marketing training seminar was held in the industrial business center «TechnoPlaza». It was attended by Maxim Kopytov – OrexCA.com project manager and Valeriya Tararueva – OrexCA.com content manager. The program successfully combined theoretical fundamentals of the planning of marketing communications and practical effective methods and techniques. Ulugbek Khojiahmedov, managing partner of “Compass Consulting” company, which is engaged in the development and implementation of strategic plans for improving the existing businesses and the creation of new businesses, made a presentation on the key issues of planning. He emphasized the importance and necessity of having a business mission, vision and values. They define the core competence of the organization, motivate staff and allow you to feel the priorities of the company. On June, 28 at the modern conference hall of Industrial Business Center TechnoPlaza the master class about the elements of private sector corporate management was hold by Hikmat Abdurahmanov, the head of the Uzbek-Chinese trading house, and Michael Shamshidov, Director Quality of OrexCA.com. Organizers and sponsors of this event were Association of International Business and Technologies, International Business Travel, China Leasing Group, IBC TechnoPlaza and OrexCA.com. Corporate governance is a system of relationships between company managers and owners on the effectiveness of the company and protection the interests of owners, as well as other stakeholders. During the meeting the main problems hindering full implementation of corporate governance in Uzbekistan were discussed.